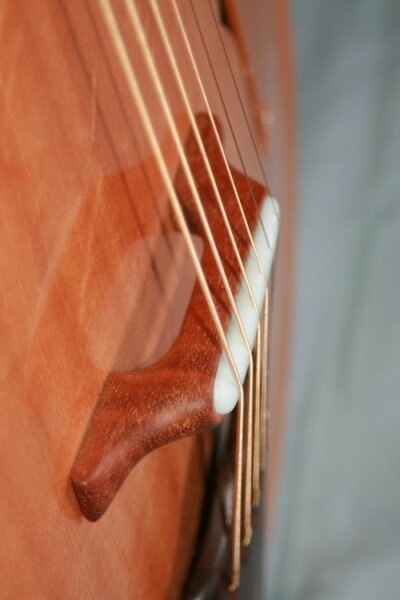 Outstanding wood, and sounds as good as it looks! 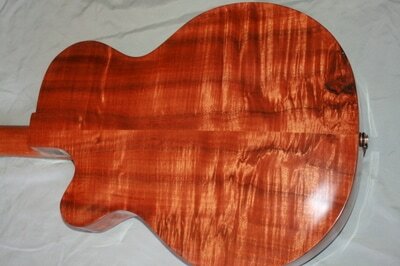 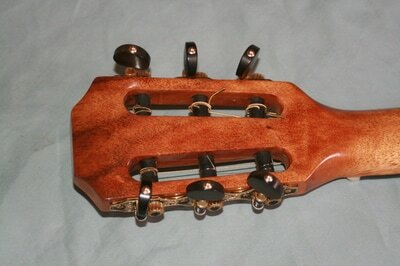 The fact is, Curly Koa is very hard to find, especially in Instrument Grade. 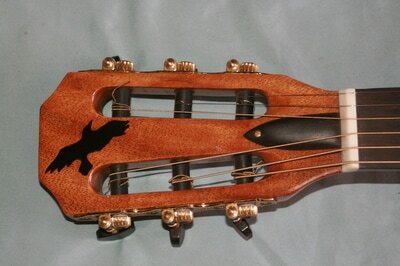 This fine specimen speaks to everyone it meets... players love it, and we love to hear them play it. 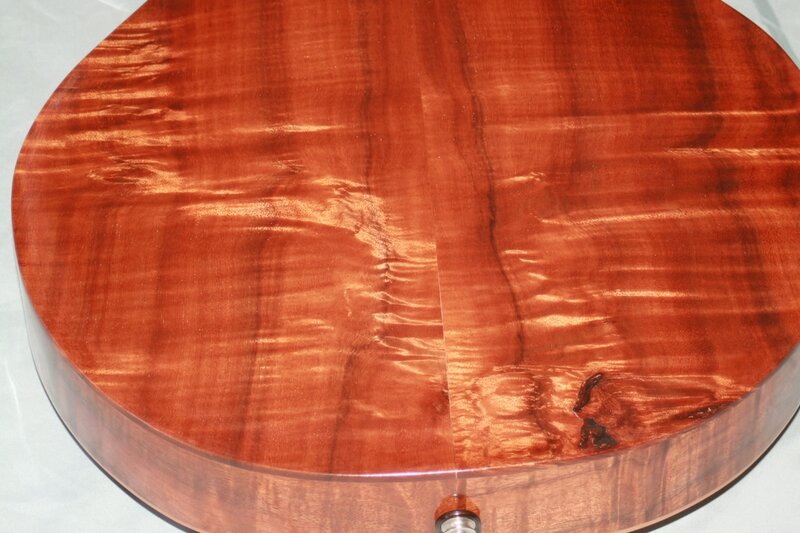 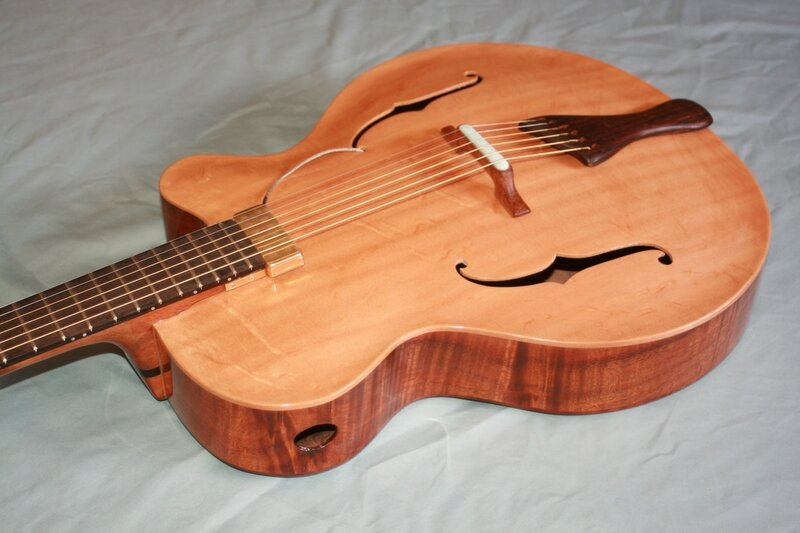 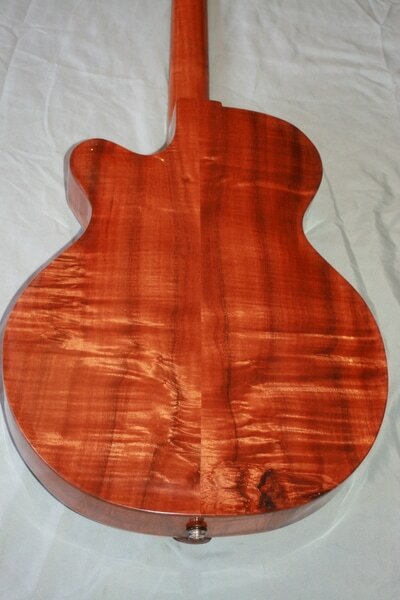 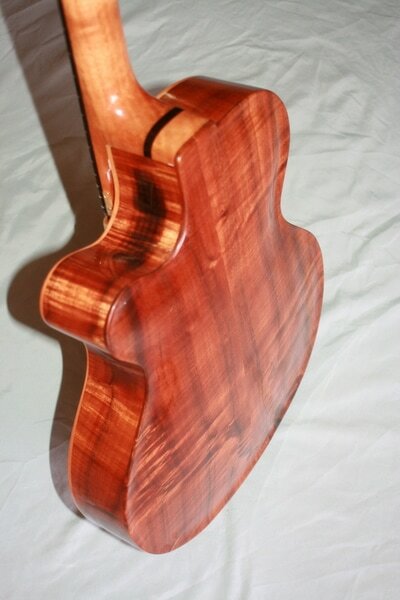 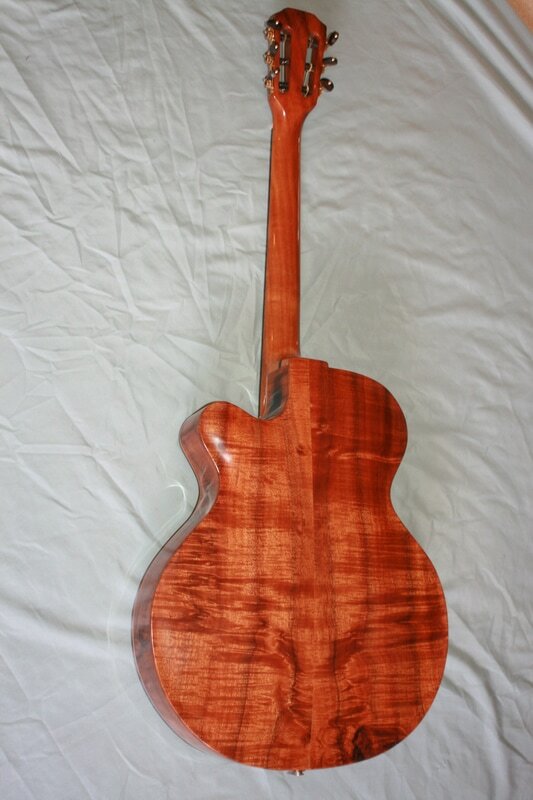 Maybe the most obvious thing about this guitar is the pretty back wood, Curly Koa. 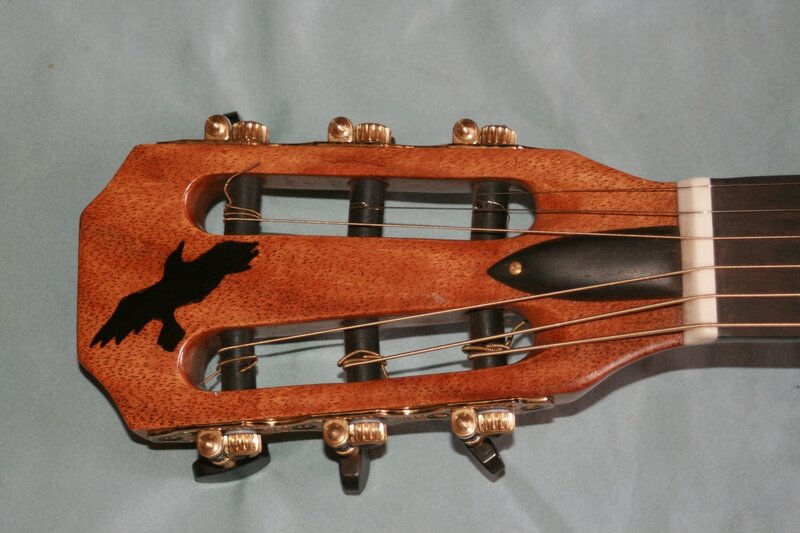 It also has a Cocobolo Tailpiece, Slotted Headstock, Ebony Fretboard, some very nice Rubner Tuners, and Electronics by Pete Biltoft (simply and temporarily installed... Didn't want to drill a hole into the top if the client wanted something else. 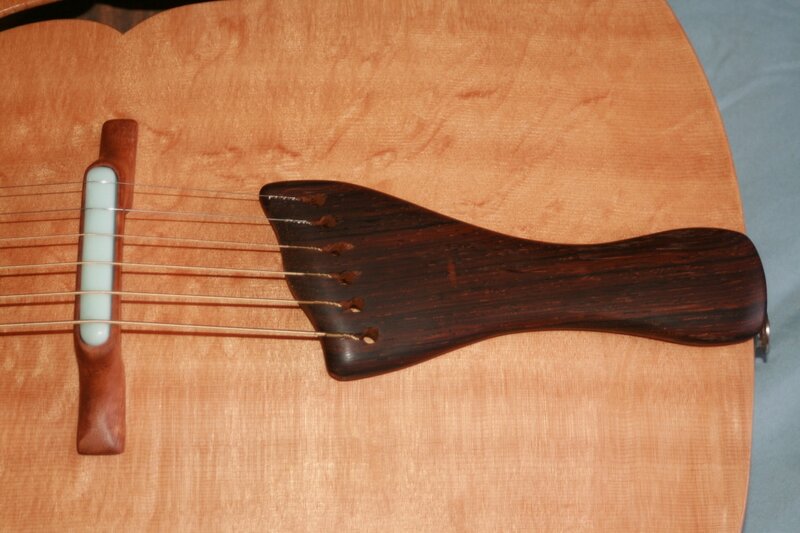 Guitarists can be finicky). 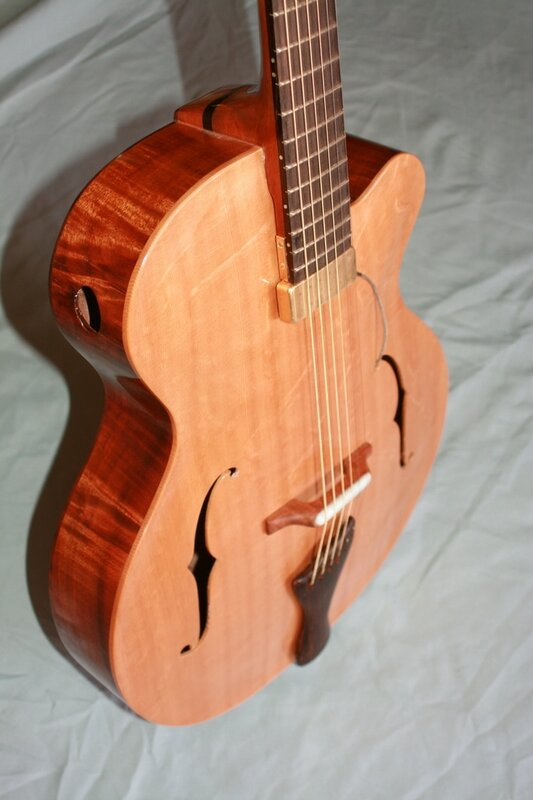 The neck is Koa too, and the Soundboard is Master Grade Sitka Spruce.The sound port helps the player to enjoy the music much better. 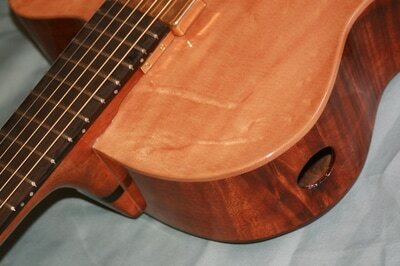 Flowery descriptions aside, this guitar also just sounds fantastic. Deep, rich and sonorous, everyone who has played it just won't let go. 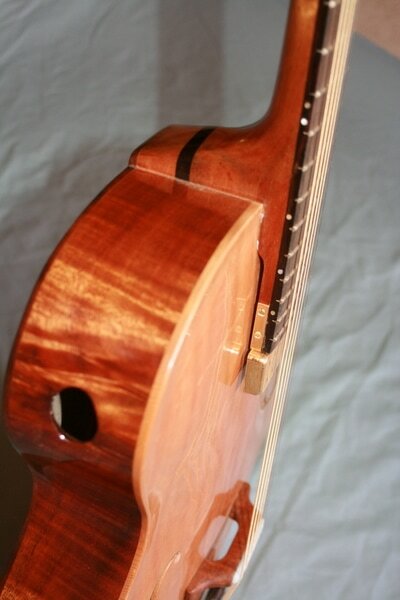 Sometimes I point out that I had burned some wood there at the cutaway, but most didn't notice or care, saying it had nothing to do with the sound. I had only the one set of sides, so I planned to personalize it for the buyer, if they liked, instead of discarding it. 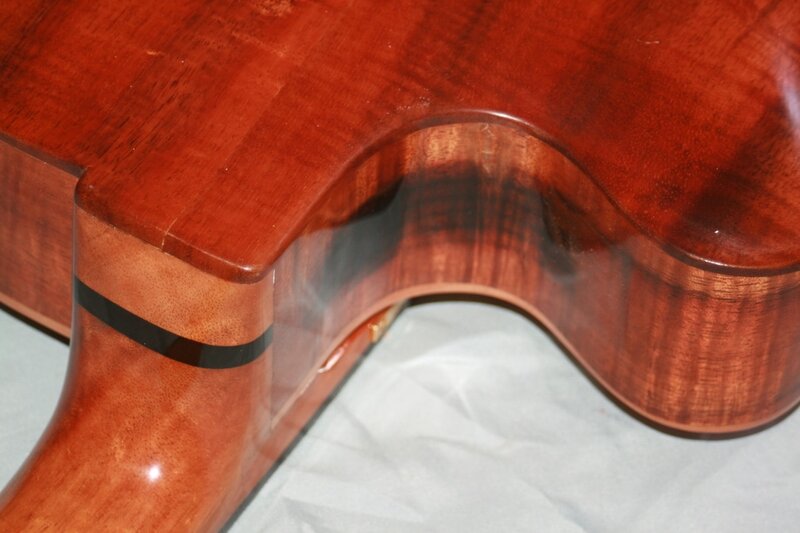 I put in some backing, and thought I would do a very difficult inlay job if the request was ever made. 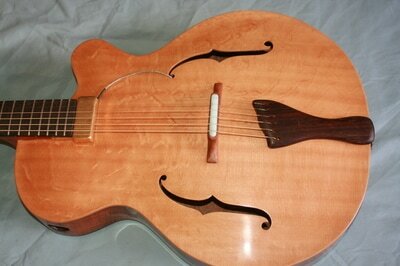 Retail Price; All Tax, Shipping, and Insurance Included... $4,900.